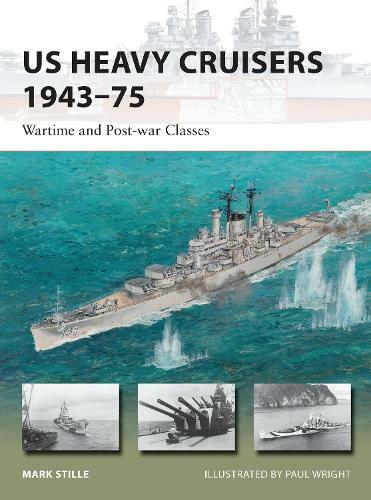 This title follows on from a companion book covering the US heavy cruisers that were built prior to the war, together forming the definitive guide to the US's heavy cruiser classes. Versatile warships, the heavy cruisers of the Baltimore class, and their successors in the Oregon City and Des Moines classes, commonly acted as carrier escorts throughout World War II, but also performed bombardment duties in support of amphibious landings. Post-World War II, the heavy cruisers continued to see service, chiefly in Korea and Vietnam. Even after the heyday of the heavy cruiser had passed, the ships continued to serve - several were converted into the earliest examples of guided missile cruisers, and created an enduring legacy in the US Navy. From an established expert on the US and Pacific naval history, this is an invaluable resource richly illustrated with artwork and photographs.